For Linux desktop users -- you know, people that just use a Linux-based operating system as a tool -- the desktop environment largely is the operating system. In other words, what's under the hood is sort of inconsequential. Hell, the distro might not even matter to the user as long as it is running their favorite DE. This is totally fine, as not everyone is a developer that is passionate about Linux or open source ideology. For me -- and many others -- GNOME is the preferred desktop environment for Linux or BSD. It has an excellent support community, the most productive user interface, and comes with many useful native apps. 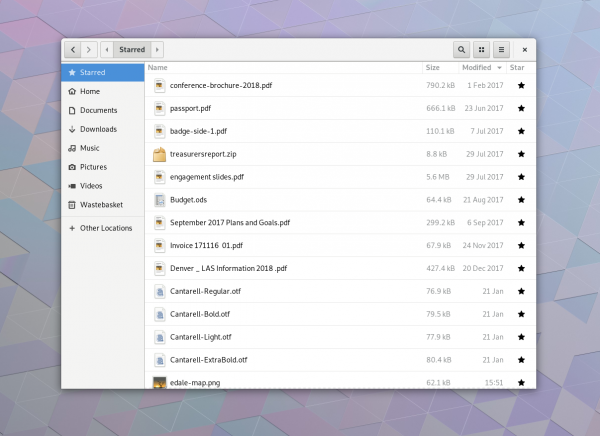 Today, GNOME 3.28 becomes available, and it is full of improvements to make it the best version yet. It has the code-name 'Chongqing' because the 2017 Gnome.Asia conference was held in that Chinese city. "GNOME 3.28 is the latest version of GNOME 3, and is the result of 6 months' hard work by the GNOME community. It contains major new features, as well as many smaller improvements and bug fixes. In total, the release incorporates 24105 changes, made by approximately 778 contributors." says The GNOME Project. 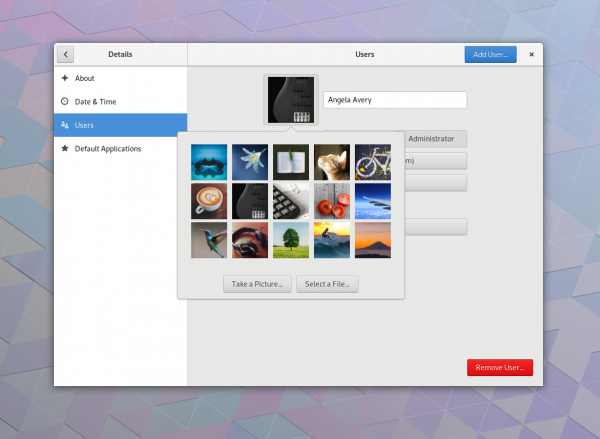 The Project further explains, "GNOME 3.28 comes with more beautiful things! First, and most significantly, GNOME’s default interface font (called Cantarell) has undergone a significant update. Character forms and spacing have been evolved, so that text is more readable and attractive. Several new weights have also been added -- light and extra bold -- which are being used to produce interfaces that are both modern and beautiful. Other beautiful things include GNOME’s collection of background wallpapers, which has been updated to include a lovely set of photographs, and the selection of profile pictures, which has been completely updated with attractive new images to pick from." 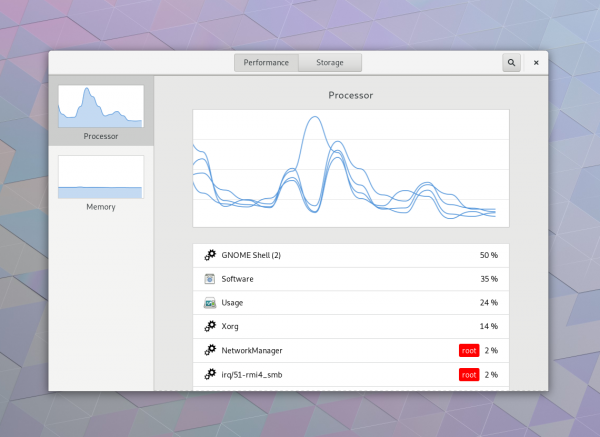 GNOME 3.28 is chock full of significant updates. One of the most useful is the ability to "star" files as seen above. Every file that you designate with a star will show up under a specialized grouping called "Starred." This allows the user to group important files without moving them from their current directories. This feature is added to the Contacts app too, so you can easily find the important people in your life. The on-screen keyboard is getting a big refresh, although I am not sure how important that really is. Don't get me wrong, you can use Linux distros with touch-screens, but for the most part, that experience isn't optimal. With that said, the OSK can be used with a mouse for those with a disability or simply for convenience. When enabled, it will now automatically launch when clicking into text areas, while adjusting its position to avoid obstructing the user's view of the text being entered. If you are like me, photo management is a huge part of your life -- I cherish my precious family memories. 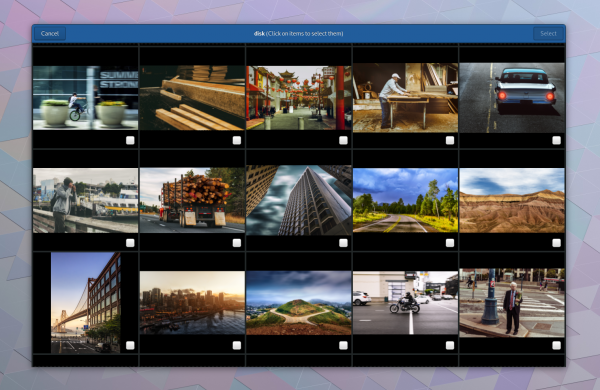 The Photos app will make managing your images even better with new and improved import functionality. When removable storage is connected to your machine, it can now detect which photos are new -- preventing duplicates. Once the photos are stored locally on your computer, there are new editing tools available too, such as adding highlights and shadows. With Thunderbolt 3 becoming more and more popular, GNOME 3.28 gets new support, including a neat security feature. The GNOME Project explains this new TB3 feature below. "The latest GNOME release comes with extended device support. Most significantly, GNOME 3.28 comes with integrated Thunderbolt 3 connection support. This includes security checks that are designed to prevent data theft through unauthorized Thunderbolt 3 connections. Feedback is also shown in the top bar, to indicate when Thunderbolt 3 is active and when a connection is being established." The Boxes app gets a really convenient update -- you can now easily transfer files between your computer and your virtual machines using a simple drag and drop. The app can now download operating systems directly, so you can more easily and quickly set up a virtual machine -- no need to launch your web browser and manually save an ISO. Very cool. 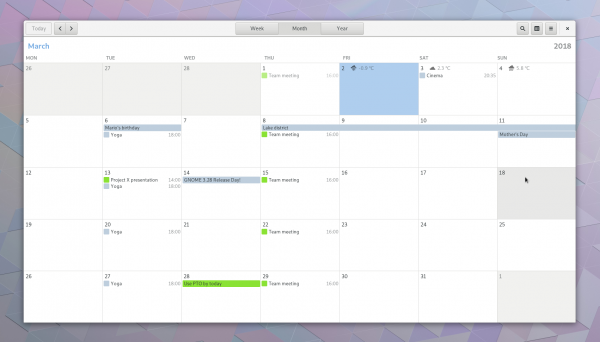 GNOME 3.28 doesn't just get updates to existing applications, but an all new one too. The latest such app is called "Usage." Speaking of this new app, the GNOME project says the following. 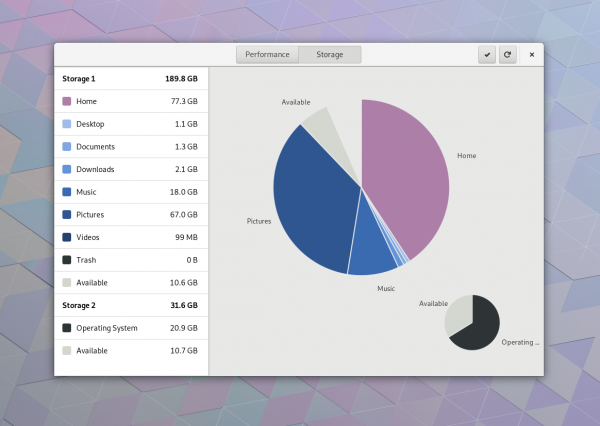 "Usage is a new GNOME application that is being introduced in 3.28 as a technology preview. The new application is designed to make it easy to diagnose and resolve performance and capacity issues. The initial version includes features for examining CPU and memory consumption. Problem areas are highlighted, making it quick and easy to identify the source of issues.The Usage preview also allows disk usage to be examined. The interface for this highlights common sources of disk usage that can be cleared, such as the trash and temporary files. More Usage features are planned for the future, including the ability to investigate network, power and data usage." 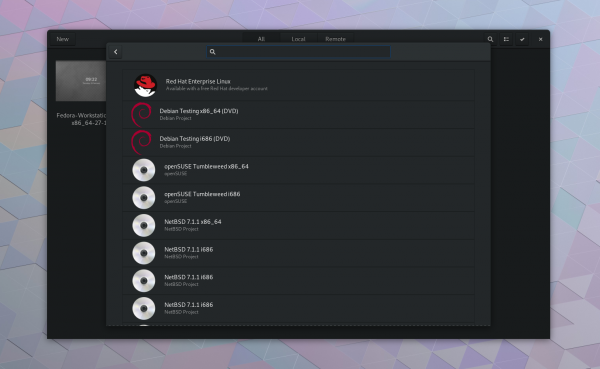 The GNOME Project shares the following less significant (yet still important) changes. Unfortunately, you can't just click on a button and upgrade to GNOME 3.28 today. Actually, for the most part, you will need to wait for it to become available for your operating system. Sadly, this can take a while. Fedora users, for instance, will have to wait for a major OS upgrade for it to become available. One thing is for sure, though -- it will definitely be worth the wait.